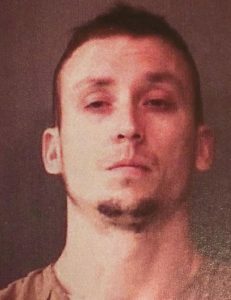 KOSCIUSKO — A Milford man was arrested after battering an inmate while incarcerated in the Kosciusko County Jail. Curtis Allen Walburn, 32, 427 E. CR 1150N 19, Milford, is being charged with battery causing serious bodily injury, a level 5 felony. On Nov. 25, 2018, an officer with the Kosciusko County Sheriff’s Office was notified by a male inmate that he was hit on the face by his bunkmate, identified as Walburn. The inmate had a deep laceration on the left side of his nose and said he was experiencing rib cage pain. According to the affidavit of probable cause, the inmate was transported to Kosciusko Community Hospital. Medical staff determined his nose was fractured on both sides and that they would consult an ear, nose and throat specialist. An officer talked with Walburn, who admitted to hitting the inmate. Video surveillance showed Walburn and the inmate entering a cell, with a second male inmate shutting the door and positioning himself to keep the door shut so inmates could not enter or exit the cell. Surveillance video also showed Walburn hitting the inmate multiple times. Walburn was booked for the battery charge on Feb. 5, 2019, with a $7,500 surety and cash bond.